Special Fred Bear/Bear Archery Issue! 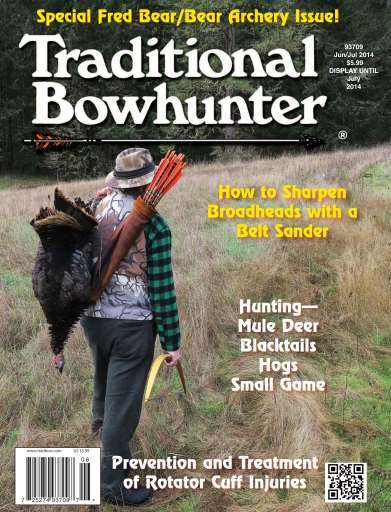 How to Sharpen Broadheads with a Belt Sander; Prevention and Treatment of Rotator Cuff Injuries; Hunting: mule deer, blackmails, hogs, small game and more. Tap web addresses to visit our advertiser's sites.